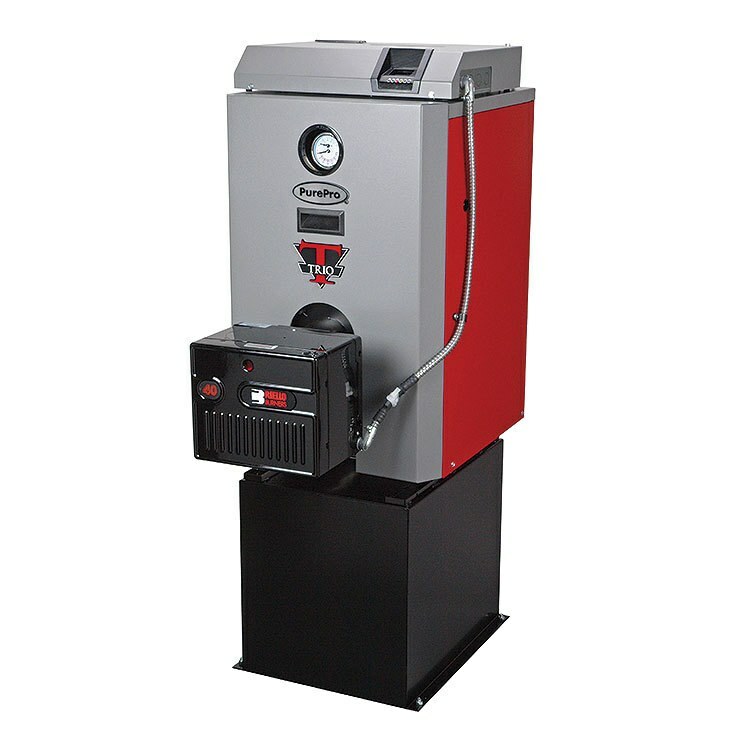 The TRIO boiler by PurePro combines high efficiencies, convenient serviceability, and low mass European 3-Pass Technology. It is constructed of GG20-rated cast iron for Thermal Shock Protection and durability. The TRIO boiler's state-of-the-art design includes recirculating flue gas technology for reduced emissions. The TRIO boiler comes standard with a Hydro level 3250 Hydrostat, which combines Temperature Limit Control, LWCO and Boiler Reset in one easy-to-use control. Output 79K BTU. AFUE rating 85.0. Less burner, sold separately. Riello, Becket and Carlin available see specification sheet for models. Firomatic 9120-104-6 Valve Fusible 3/8x1/4" Brass FlarexMNPT 1-5/8"